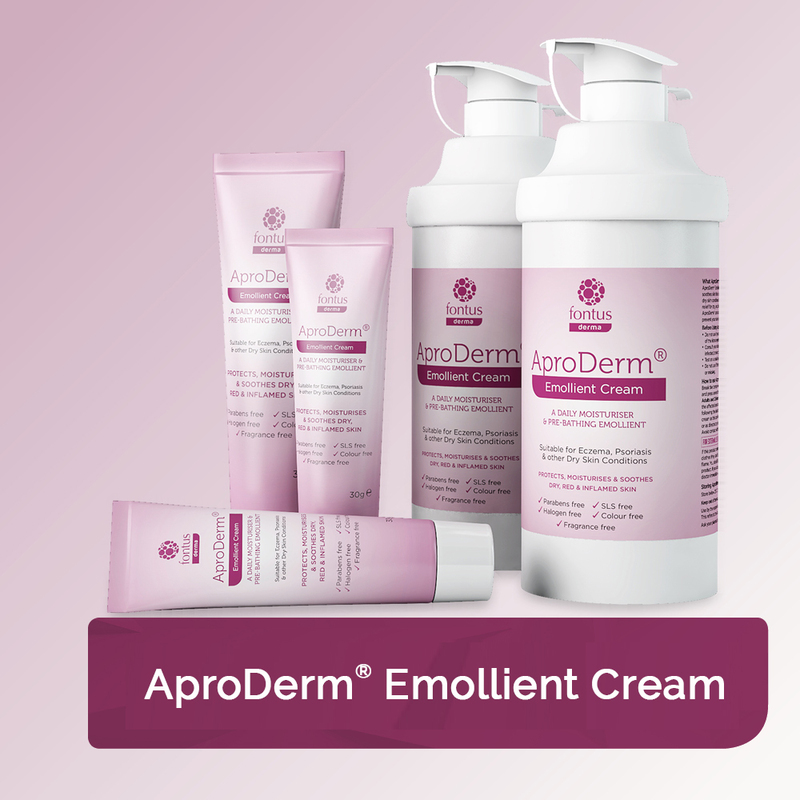 Why Use AproDerm® Leave-On Emollients For Dry Skin Conditions? Many skincare products such as shampoos, topical creams and baby products contain substances other than the active ingredient(s) which include preservatives, detergents and perfumes. These substances can potentially irritate or sensitise skin with those suffering from eczema being more sensitive to their effects. They include SLS, parabens, halogens, fragrances and colours so it follows that products which contain the least amount of these are less likely to cause reactions in people. An irritant is a substance that causes inflammation to the body and can affect anyone who comes into contact with sufficient quantities of it for long enough with those suffering from eczema being more sensitive to its effects. The skin can react straight away (immediate response) or after a period of time with repeated use and examples of irritants include SLS, water and detergents. Irritants remove moisture and oils from the outer layer of the skin allowing pathogens, irritants and allergens to enter causing inflammation and further damage to the skin. A skin sensitiser is a chemical that will cause an allergic reaction when in contact with the skin however, unlike an irritant it only affects those who are allergic to it. 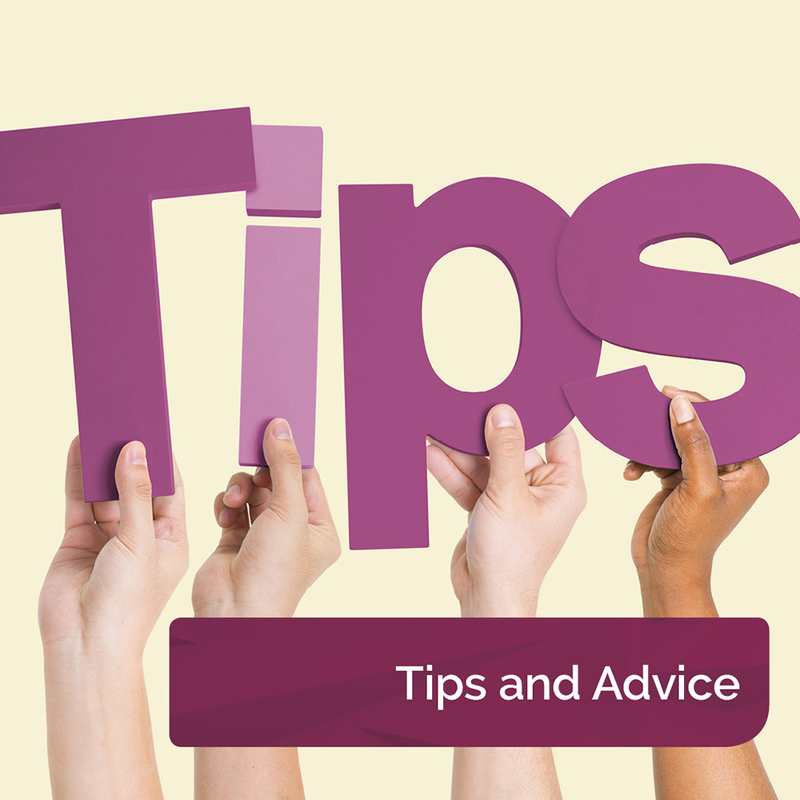 Initial contact to the sensitiser will not cause a reaction however repeated use of it can cause the skin to react and once a person has been sensitised to a product, contact with even a small amount of it will cause a reaction. The two conditions allergic and irritant dermatitis may exist together. Depending on the severity of the reaction the skin may become dry, red, swollen, blistered, thickened, intensely itchy and/or cracked. Below are a list of common irritants and sensitisers. Sodium lauryl sulfate, or SLS for short, is a chemical commonly found in many cosmetic products such as toothpastes, shampoos, soaps, shaving cream and hair products. It is a detergent, emulsifier and surfactant, which means that it lets oil and water mix, reduces surface tension, creates foam and cleans. Interestingly, SLS is responsible for toothpaste changing the way you taste food after brushing your teeth as it affects the sweetness and bitterness receptors. In emollients SLS is used as an emulsifier (lets oil and water mix) and thickener so that they can be applied easily on to the skin. SLS is a well-recognised skin irritant and has been shown to decrease natural moisturising factor (NMF) production which means more moisture can be lost from the skin causing it to dry out so making it easier for bacteria, allergens and irritants to get into it and cause inflammation. A recent study showed that skin which had had aqueous cream put on it was 12% thinner and had 20% more water loss compared to skin that didn’t have it on, an effect which researchers linked to SLS. Parabens are a group of chemicals which have preservative qualities and are added to a product to protect against fungal, bacterial and yeast growth, thus prolonging the shelf-life of the product and preventing the transfer of microbial organisms onto your skin. Parabens are widely used in cosmetic products such as make-up, moisturisers, toothpastes, nappy creams and hair care products, as well as in some foods and drugs. Some common examples include methylparaben, propylparaben and butylparaben however you may see them listed on product labels as hydroxybenzoates. 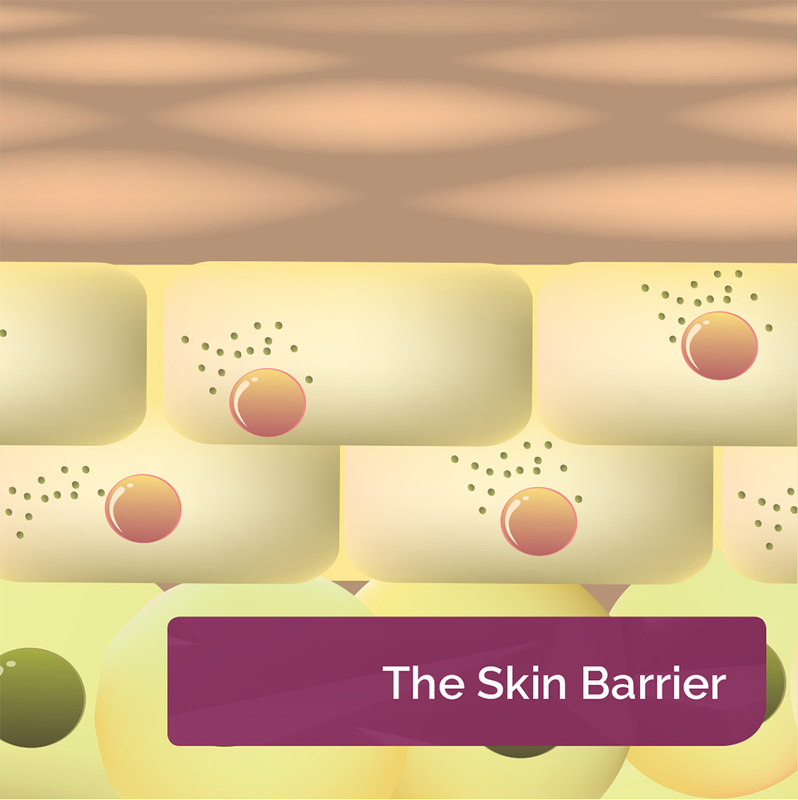 Parabens, for most people with normal skin are non-irritating and non-sensitising however paraben sensitisation can occur following repeated low level use (such as from the amount found in emollients). 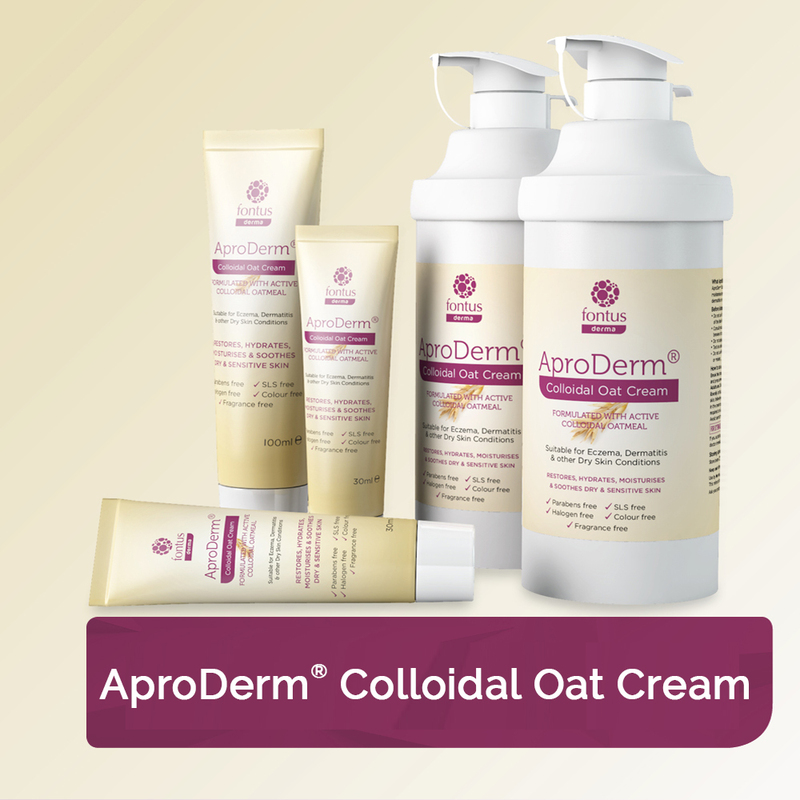 It is mainly seen in cases involving broken or damaged skin and can affect up to 4% of people with chronic dermatitis, so if you have eczema you may benefit from using a parabens free product. In March 2011 following growing concerns over parabens Denmark banned propyl and butyl parabens and their salts from cosmetic products that were used in children under the age of three. In a study of 350 Norwegian women it was found that heavy users of cosmetic products had high levels of parabens in their blood which is worrying as parabens can disrupt hormonal balance in the body and so may impact on fertility. Chlorocresol is a halogen which is known by many other names including parachlorometacresol and 4-Chloro-3-methylphenol, to name a few. It is found in many products including cosmetics, creams, baby products, paints, adhesives, textile finishes and cooling fluids. Chlorocresol has antiseptic, disinfectant and preservative properties, however it is a known sensitiser. In a U.K. study of 3,062 people, 0.6% showed a reaction to Chlorocresol. Fragrances are added to many products such as cosmetics and emollients to make them more appealing and to mask any unpleasant smells that may be a necessary part of the product. These fragrances can be natural or synthetic and are thought to affect the user’s perception of the product. They are also found in perfumes, creams, wet wipes, toilet paper and washing powder. Fragrances, however, are one of the most frequent causes of allergic contact dermatitis from cosmetic products. 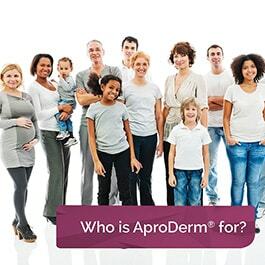 Approximately 1.7% – 4.1% of the population are sensitised to fragrance materials however in those with eczema this can be about 14%. As fragrances will often aggravate existing dermatitis a treatment that is fragrance free may be beneficial in those with already sensitive skin. The American Contact Dermatitis Society voted fragrance as Allergen of the Year in 2007 in an attempt to highlight both its abundance in everything from cosmetics and cleaning products to foods and medications, as well as it’s potential to be an allergenic substance in the development of dry skin conditions. To test for fragrance allergies a person is tested with a mix of fragrances of which there are two types, fragrance mix I (containing 8 different fragrances) and II (containing 6 fragrances). A positive response indicates a fragrance allergy to one or more of the fragrances in the mix and it is advised that you avoid products which contain perfumes or say parfum on the label and stick to those that are fragrance free. Colours are common place in all aspects of life including pigments found in textile dyes, permanent make-up, hair dyes and medications. One example is p-Phenylenediamine (PPD), which is a common colourant in permanent hair dyes and whose sensitising effect is well recognised with many case reports.